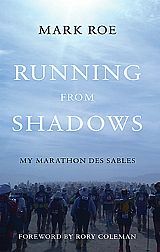 Three multi-day ultra events: the Marathon des Sables (MdS) (2012); the Sahara Race (Jordan) (2014); and the Ancient Khmer Path (Cambodia) (2015). Two DNFs (Did Not Finish), being the latter two races . . . why? Once I recovered earlier this year it was a question worth looking at closely because in March I entered for a second attempt at the AKP.